Are you on the fence about going to see Marvel’s latest, The Black Panther this weekend? While we’re not sure why you wouldn’t just go see it based on the hype alone, if you’re still deciding, we’ve got you covered with our latest top ten. Generally speaking I normally put together a top ten list before I’ve seen the movie. At this point in time I have just arrived home and sat down after ingesting this quality film. Don’t worry, about spoilers though, we’re not looking to ruin anything for you. What we’ve included is based on trailers and common knowledge. With that said, let’s get to it! I don’t imagine that it’s any surprise that they released Black Panther during the month of February. 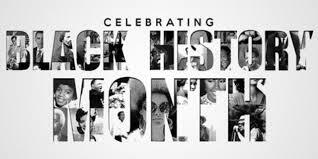 Black History Month is designated to celebrate the achievements by historical African diaspora. How does this relate to the Black Panther? Black Panther is the first superhero of African descent. He first appeared in Fantastic Four 52 (1966). The significance cannot be overlooked. The film does make a point to celebrate the populace of the world and does so beautifully. I know what you’re thinking, “what the hell is he talking about?” We all know Marvel is owned by Disney. The references are there, believe me, even if they are subtle. Now is this really important to the film? 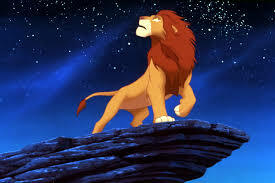 Well, yeah, the tones and theme of the film is deeply rooted more so in the Lion King. Sure, this is something more for Disney fanboys than Marvel, but we’re both. One of our favorite parts of every Marvel film is to find out just how they’re going to incorporate the man, the legend, Stan Lee. 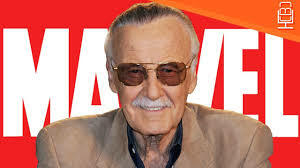 So long as Stan is alive and kicking, he just turned 95, we look for him to pop and wait for the audience to chuckle. This cameo is well placed and it’s always a welcome addition for audience goers. 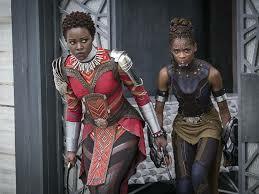 Based on the trailer only, you can see that the film is loaded with special effect and digital wizardry to create the action and the fictional country of Wakanda. Now just about any decent science fiction film has its share of effects. Black Panther has loads, but take it from me, they work really ridiculously well in this movie. They help the story and make this superhero stand out. Every shot was worth the money that was spent. 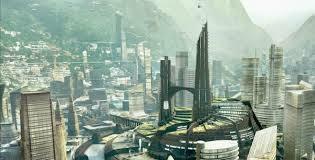 Wakanda looks amazing and we all wish we could live there. Hmm, this is a Marvel Cinematic Universe film, we wonder if there just might be some type of connection to the other films? 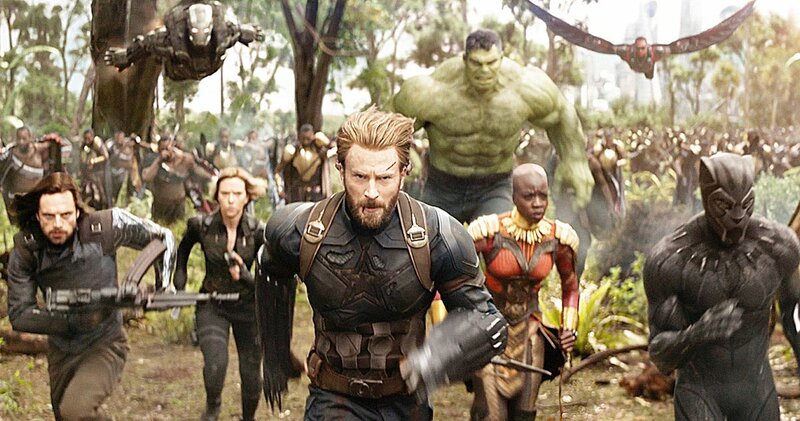 Alright, it’s a forgone conclusion that the bigger Marvel universe will make its mark in the film somehow, as we’ve already seen glimpses of characters in the trailer from all the way back to Age of Ultron. It’s the last movie until the worlds ends on May 4th. I won’t let anything slip, but it has some good tie-ins and sets that stage to a small extent for Infinity War. You know how we just said you’ll see some familiar characters, just based on the trailers? 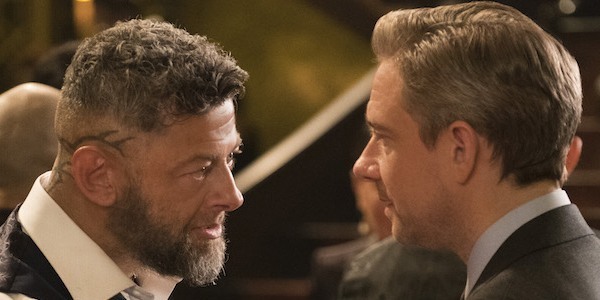 Martin Freeman reprises his role as CIA agent Everett Ross. We last saw him in Captain America: Civil War. He is the outsider to the story and provides some nice comic relief. It was certainly nice to see such a fine actor get some additional screen time. Normally we don’t get to see Andy without some motion capture to aid his performance. Once again, here he plays Ulysses Klau, who we originally saw in Avengers: Age of Ultron. His performance is simply evil and I mean that in a good way. He brings some justice to the minor character that he plays from the comic books. 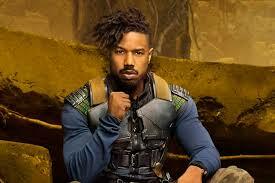 In general it’ just nice to see him make a return after being the original seed Marvel planted to bring us to Demand a.
Michael B. Jordan stars in the movie as Eric Killmonger. So why is this part of our list titled redemption? He happened to star in a little movie called Fantastic Four a couple of years back. That movie was terrible and beyond redemption, though it’s worth mentioning it being terrible had nothing to do with his performance. Jordan makes a fine Human Torch, but his performance in Black Panther is gripping and powerful. His motivations for the character are the heart of the story. It also points out the shortcomings in our society as whole. Now I’ve already mentioned several people in the cast of the flick, so who else is there to bring up? Oh, so many fantastic performers. The Black Panther is loaded with actors including: Angela Bassett, Lupito Nyong’O, Forrest Wittaker, Danai Gurira, Daniel Kaluuya, Letita Wright, Winston Duke, Sterling K. Brown, and John Kani returns as T’Chaka. I have seen tons of movies and I don’t think I’ve ever come across a movie where a cast supports its main lead sooo much. Each actor is not wasted in this opus. Let’s hope everyone sticks around for a potential sequel. Marvel has found it’s newest leading man. He has the screen presence of Robert Downey Jr and edgy good looks of Christopher Hemsworth. Boseman has starred in movies like 42 and Draft Day. We saw him do quality work in Get on Up. 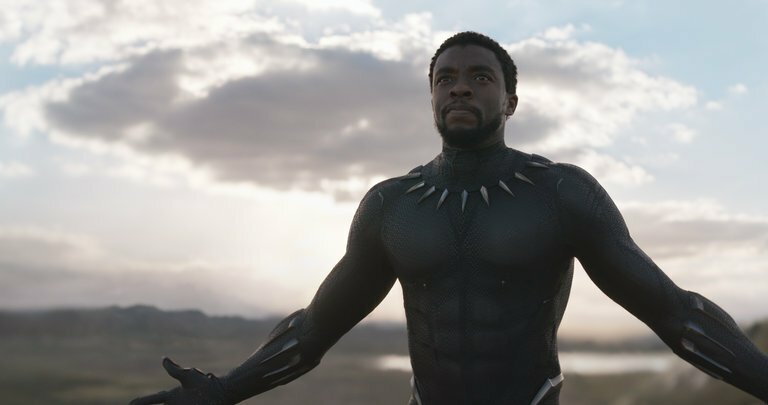 As T’Challa, Boseman has become a permanent part of the Marvel Universe. After seeing Black Panther, Boseman will hopefully have a sequel in his kingly future. Or more likely, he WILL have a sequel before not to long. Comic News: Doctor Who Comics Bundle!